Into the great wide open? When you need plenty of space to share the expansive nature of your upcoming event, the Clouds Poster template has you covered. 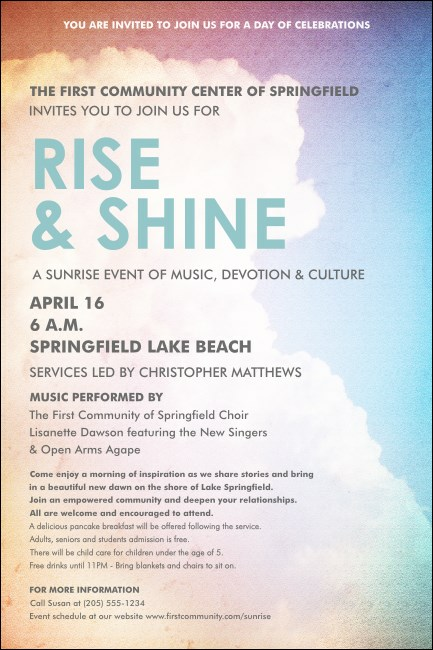 Meet under open skies in the light of the morning sun when you advertise morning worship or other early outdoor events with the right Poster to highlight all your event details. Don't let anyone rain on your parade with TicketPrinting.com.